A trust solicitor is someone who helps make legal arrangements to hold property or assets on trust for the benefits of one or more beneficiaries for a particular purpose. The purpose of the trust will be explained in what is called a Trust Deed. For example, the purpose may be for children to receive access to a certain amount of funds when they reach a certain age. There are endless scenarios in which a trust can take place. You can make a trust in order to set money aside to look after yourself in the event you are not capable in the future. You can also support someone who is not capable of managing their money by fulfilling the purpose of their trust for them. Whichever the purpose, it is crucial to seek legal advice in order to make sure that the trust is valid and clear. A trust is an obligation binding the Trustees to deal with property over which they have control (Trust property) for the benefit of beneficiaries (the people who benefit under the terms of the trust). Outright gifts to an individual may not be suitable if they are young, financially irresponsible or at risk from creditors. Use of a trust may be appropriate when outright gifts to an individual as part of basic Inheritance Tax planning would be at risk and you may prefer to leave decision making to people you trust. You may want to take the value of property and possibly its future development value outside of your estate without losing control. If you are prepared to relinquish any benefit from it, a trust will provide flexible decision making. When an individual cannot handle money because they are incapacitated. The Settlor – this is the person who places money, investments and property into a trust. The Trustees – these are the people who manage the trust. The Beneficiaries – these are the people who benefit under the trust. Decides which of their assets will be transferred to the trust, who will be the Trustees, who will be the beneficiaries and how the assets in the trust should be used. This is set out in the Trust Deed. Deal with assets in accordance with the provisions of the Trust Deed. Manage the trust on a daily basis. Decide how to invest monies and use trust assets. Distribute capital and income to the beneficiaries. What do the Beneficiaries get? For Inheritance Tax all new trusts set up by a Settlor in his/her lifetime (except a trust for a disabled beneficiary) are subject to 10 year anniversary charges and exit charges on the value of the asset leaving the trust. The maximum 10 year anniversary charge and the maximum rate at which the value of property leaving the trust is taxed is 6%. The surplus value over the Settlors unused Nil Rate Band for Inheritance Tax is taxed at a lifetime rate of 20%. This compares favourably to the death rate of 40% if asset remains within the Settlors estate. There are Capital Gains Tax implication. 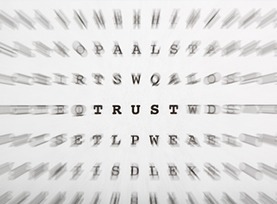 At Bloomsbury Law, we appreciate that trusts will be different in every case. We will help you to make sure that your trust is written to truly represent the purpose which you see fit. If you are seeking legal advice on a trust, please get in contact with our team of specialists. We will listen to your situation, answer any questions that you may have and advise you accordingly once we are instructed.